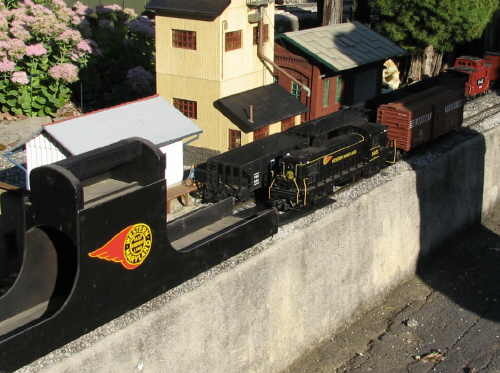 weeks earlier on his indoor O scale layout. 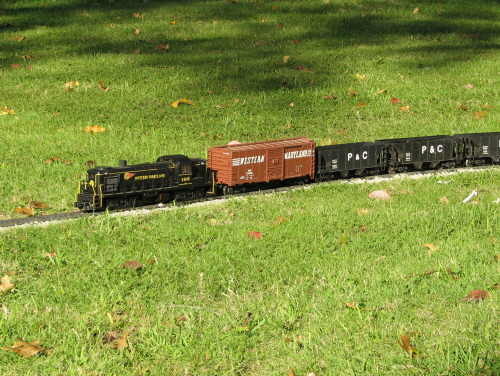 ACROSS THE LAWN - The train glides downhill across the back side of the railroad. 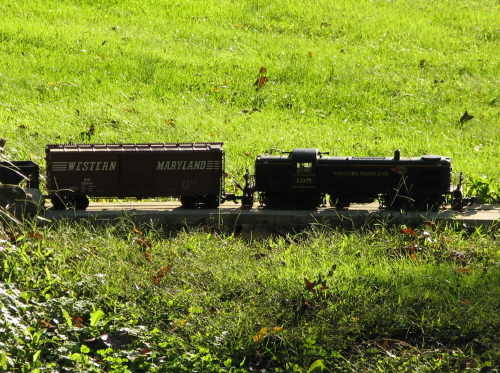 part of the railroad in Larry's adjoining back yard. sun is shining very brightly on the grass behind them. 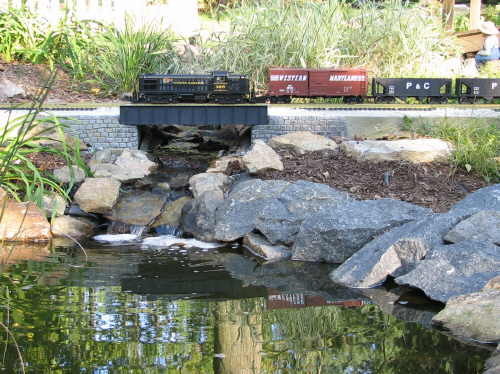 LAKESIDE VIEW - The train crosses a girder bridge beside a large garden pond. 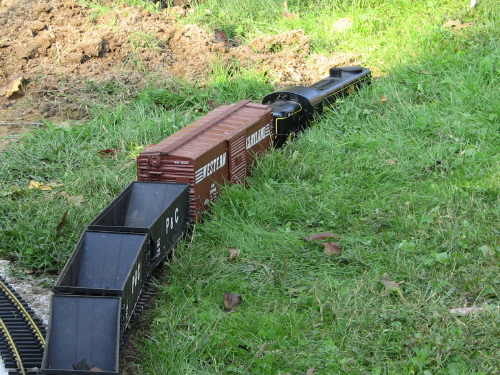 Line, which the railroad will reach next year.